On Good Friday, hollow out the bread together with the kids. Make the representation of the body of Jesus with them from one of your popsicle sticks and wrap in kleenex. 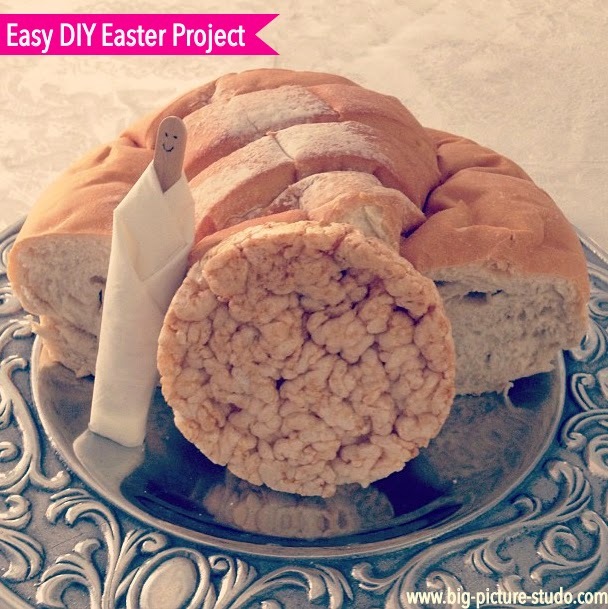 Put Him inside the hollowed out bread and explain that it represents the "tomb" and then seal it with the rice cake. Last year our kids checked it everyday to see if anything had happened yet. Finally, on Sunday morning before the kids get up, open the tomb by rolling away the rice cake, remove the Body, set up the popsicle stick crosses and angel, and add candy and followers to decorate. 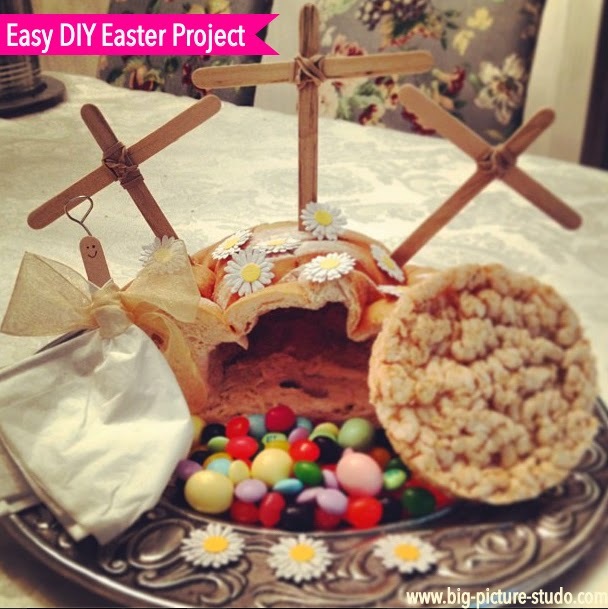 This can be done in place of Easter baskets (how Denni does it) or in addition to them (how I do it). Both are great - I just couldn't let go of playing Easter Bunny as well. ;) We also enjoy gifting the kids with little books to encourage and inspire what has already been written on their hearts and since they already have the very well loved books the Veggie Tales Bible and The Jesus Story Book Bible, this year they are getting Thoughts To Make Your Heart Sing and Images of God for Young Children and I can hardly wait to stick them in their baskets. I do hope you will try with with your kids - we have really enjoyed it and think you and your family will, too!